Cyprus has issued an arrest warrant for Russian whistleblower Maria Efimova in connection with a four-year old case, the Cypriot Business Mail has reported. A former Pilatus Bank employee, Ms Efimova is linked to the Egrant scandal, which precipitated last year's general election. 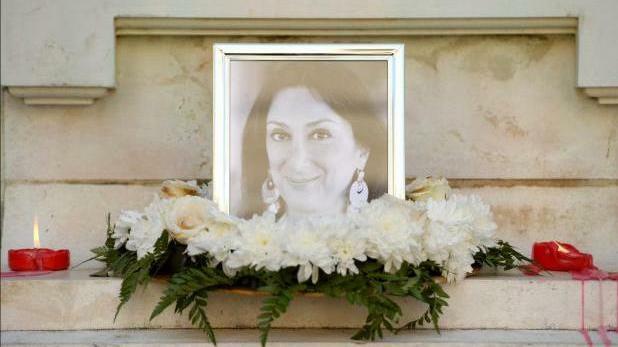 Referring to Ms Efimova as “the source for murdered Maltese investigative journalist Daphne Caruana Galizia, and for whom members of the European Parliament last month asked EU member states to grant whistle-blower protection”, the news portal said Ms Efimova faced arrest if she went to Cyprus in connection with a case which at the first glance appeared unrelated. Ms Efimova said she was certain the complaint was part of a plot organised in Malta to publicly discredit her or have her extradited to Malta. It said that Ms Efimova, who used to work until 2014 for the Russian-owned Cypriot company I.D.F. Fragrance Distribution Ltd before leaving Cyprus, said she was informed she was likely to face arrest upon her return to Cyprus –where she wants to settle with her family. Ms Efimova said that although in November news reports said that Malta had issued an arrest warrant against her, she had since travelled to various European countries and asked police authorities if there was such a warrant and nobody wanted to carry it out. However, her father who lived in Russia called her to tell her two weeks ago that two persons went to their house and claimed that they were looking for her in Cyprus, which had issued a European or international arrest warrant. She said that after inquiring, she discovered that Natalia Antoniou, an employee at the Limassol-based Costas Tsirides & Co L.L.C. law firm, had filed a complaint with the police against her in December, in her capacity as director of Fragrance Distribution, for allegedly stealing from the company. Ms Efimova said she was surprised that, despite preparing company accounts in previous years, there had never been a complaint about her stealing. Ms Antoniou told the news portal that she had filed the complaint four years ago on the instructions of the company’s beneficial owner, which led to the issuing of a European arrest warrant. A police source confirmed to the news portal that the complaint had been filed four years ago, but it took more than three years to complete the investigation and secure the arrest warrants for Ms Efimova and her husband.